Zinedine Yazid Zidane, nicknamed ‘Zizou’ was born 23 June 1972 in Marseille, France. Here is a short summary of how the youngster of ‘La Castellane’ in Marseille became the legend we all admire. Top left corner, Zinedine Zidane wearing the A.S Cannes shirt, his first club in the French Ligue 1. 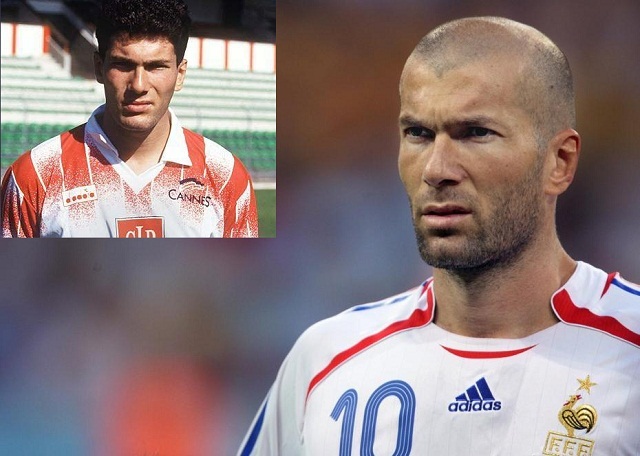 A few years later he became ‘Zizou’, the Legend of World Cup 98 winners France. He is mentioned among the greatest football players of all time. French favorite athlete in 2006, he was ranked three times World Player of the Year by FIFA in 1998, 2000 and 2003 and Ballon d’Or in 1998. He was twice ranked second best French player of all time by France Football. In 2004, he was elected best European player of the half century by UEFA and therefore ahead of legends like Cruyff, Beckenbauer or Platini. Playing as an attacking midfielder, he was the playmaker of prestigious European clubs like Juventus and Real Madrid, with whom he has won numerous national and international titles. 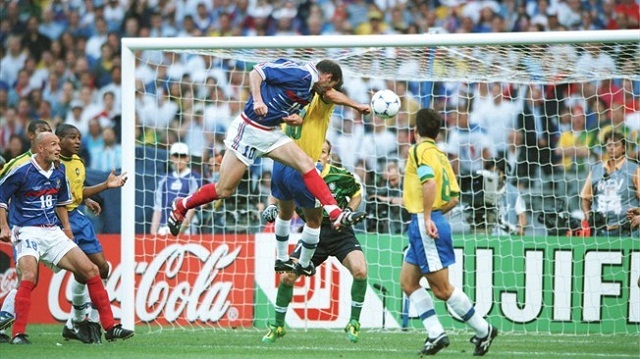 Selected 108 times with France national team, Zidane has made history in international victory at the 1998 World Cup where he scored two headers in the final against Brazil won 3-0. Zidane has made history in international victory at the 1998 World Cup where he scored two headers in the final against Brazil won 3-0. Famous number 10 of Les Bleus, he puts an end to his career after the 2006 World Cup, during which he distinguished himself and won the title of best player in the world. On 9 July 2006, he played his last match during the final of the World Cup between Italy and France. There he did two things that are memorable. First he scored his 31st goal for the team with a panenka but then he was given a red card for a headbutt to the chest of Marco Materazzi. Zinedine Zidane, is a native of Algeria, Kabylia region, more precisely in the wilaya of Bejaia. Zinedine Zidane signs his second license in a club not far from his home district. 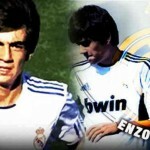 He was recruited at the age of fourteen by AS Cannes which he joined the training center. He begins in the first division May 20, 1989, against FC Nantes, Beaujoire. In 1991, he scored his first goal in the League one, always against FC Nantes. 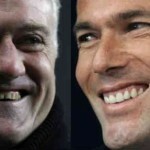 In 1992, Zidane was recruited by Rolland Courbis to Bordeaux. He becomes friend with two other future French international Christophe Dugarry and Bixente Lizarazu, with whom he formed what was then the appellation “Bordeaux triangle”, these three players demonstrating an ability to find each other with closed eyes on the pitch. Zidane scores 10 goals in his first season, then 6 the next three seasons. 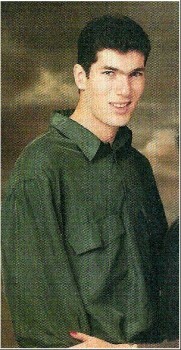 A young Zinedine Zidane, with still plenty of hair! Before he joined the team of France, the Algerian coach Abdelhamid Kermali at the time refuses him in the national team of Algeria claiming that the child of Castellane is “not fast enough” and he added, especially there were “tens of Zidane in Algeria”!. August 17, 1994 in Bordeaux, he is selected for the first time in team of France against the Czech Republic. Came into play in the 63rd minute when France is losing 2-0, Zidane scores two goals. He will however have to wait almost a year to become a full-fledged holder in the France team. It was not until 1995, during the Euro 1996 qualifiers for the national coach Aimé Jacquet Zidane will make him the key playmaker.